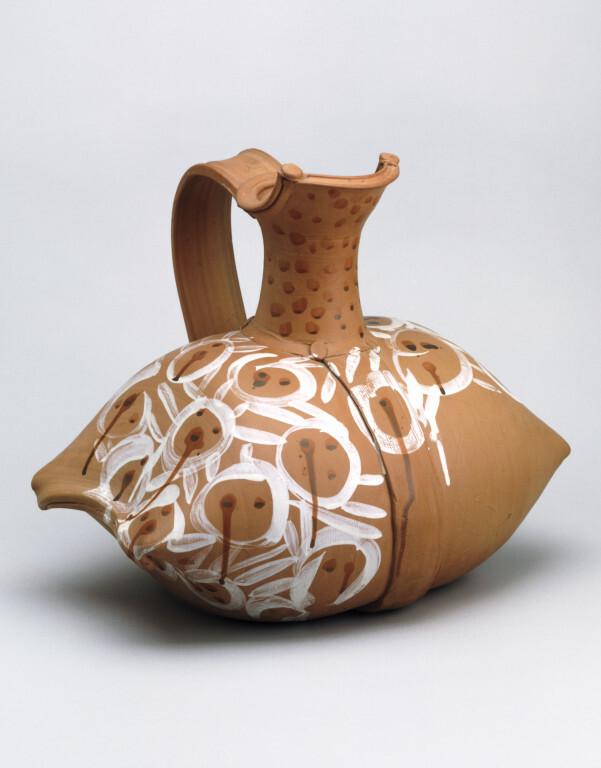 Betty Woodman's signature 'Pillow Pitchers' were inspired by Etruscan pots seen on her travels in Italy, and are often painted with colourful slips and glazes. Woodman was a member of the Pattern and Decoration movement of the late 1970s and 1980s. These artists reacted against the austerity of Minimalism, drawing inspiration from folk art and traditional crafts. 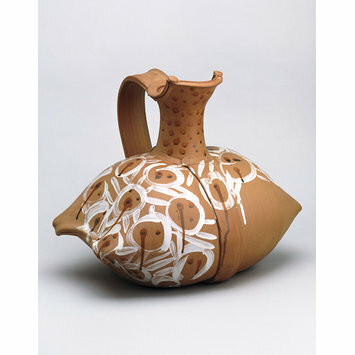 Terracotta jug with a pillow-shaped body, decorated with white and brown slips.